Class-leading infantry fighting vehicles (IFVs) such as Puma, K21 and BMP-3M, with superior self-protection and fire power, bridge the gap between armoured personnel carriers (APCs) and main battle tanks (MBTs). The PUMA IFV is one of the best protected infantry fighting vehicles in the world. Image courtesy of PSM Projekt System & Management. 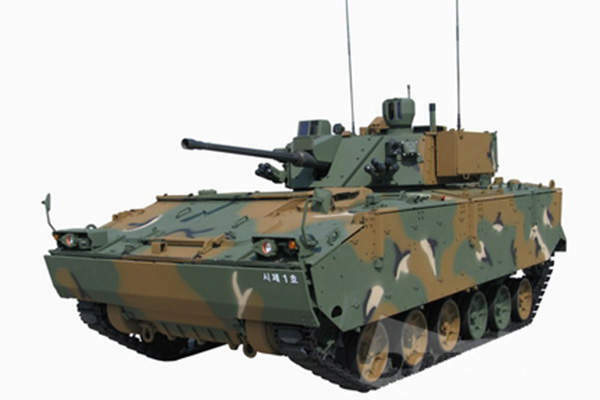 The K21 next generation infantry fighting vehicle is in service with the Republic of Korea Army (South Korean Army). 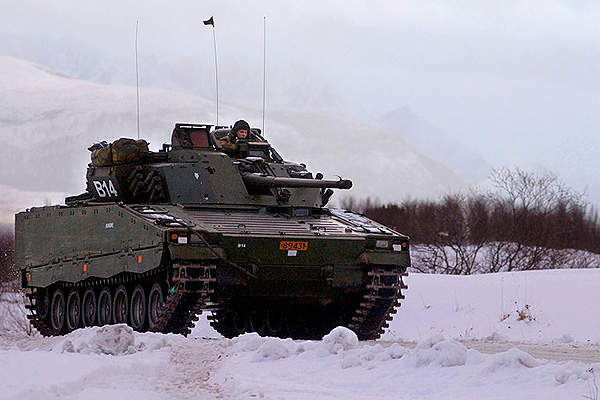 A CV9030N infantry fighting vehicle from the Norwegian Army runs through snow. 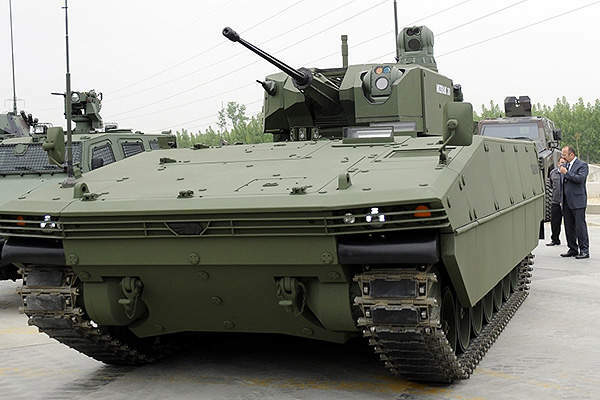 The TULPAR tracked infantry fighting vehicle was unveiled at the 11th International Defence Industry Fair (IDEF) in May 2013. Image courtesy of Karaahmet. 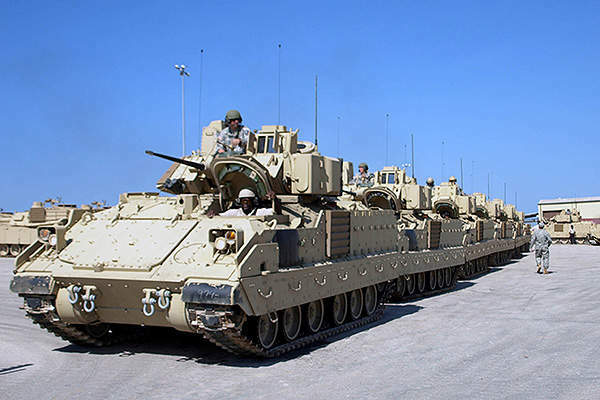 The Bradley A3 infantry fighting vehicle entered into service with the US Army in 2000. Image courtesy of Seth Model, US Army. ASCOD is one of the best infantry fighting vehicles in the world. Image courtesy of General Dynamics European Land Systems. 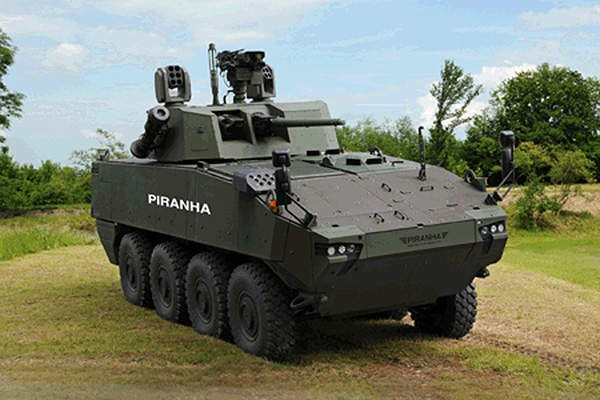 The Piranha V infantry fighting vehicle was displayed for the first time at the EUROSATORY 2010. Image courtesy of General Dynamics European Land Systems. A side profile of the VBCI (Véhicule Blindé de Combat d'Infanterie) IFV. Image courtesy of Daniel Steger. VBM Freccia is an infantry fighting vehicle built by the Iveco Fiat-Oto Melara consortium for the Italian Army. Image courtesy of Heinz Guderian. BAE Systems and General Dynamics are currently developing IFVs that will further elevate the role of the vehicles on the battlefield. Army-technology.com lists some of the best IFVs in the world based on firepower, protection and mobility. 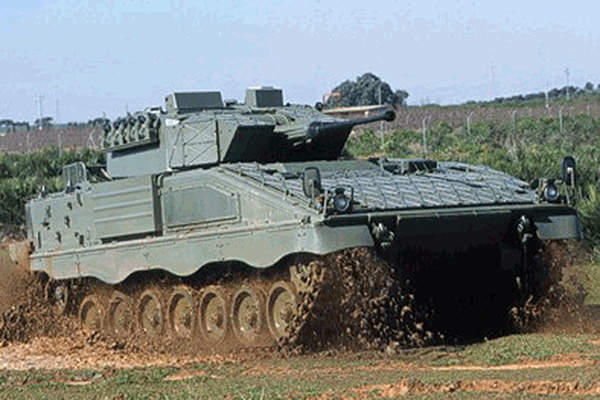 The Puma IFV is one of the best IFVs in the world, offering high mobility, maximum protection and optimum fire power. The vehicle was developed by PSM Projekt System & Management, a joint venture between Krauss-Maffei Wegmann (KMW) and Rheinmetall Land Systems, and is in service with the German Army (Bundeswehr). It offers class-leading protection for a nine-man crew against medium calibre weapons, hand-held anti-tank weapons, shaped charges, kinetic energy (KE) ammunition, heavy blast/EFP mines, and nuclear, biological and chemical (NBC) weapons. The two-level modular protection concept of the vehicle constitutes ballistic and mine protection. The MUltifunctional Self protection System (MUSS) soft-kill technology aboard the Puma further increases survivability against guided missiles. The IFV is armed with 30mm MK30-2 ABM (Air Burst Munition), a coaxially mounted MG4 5.56mm light machine gun and SPIKE LR (EuroSpike) guided missile system. The vehicle is powered by a ten-cyllinder 800kW engine, which offers a maximum speed of 70km/h and range of about 600km. The K21 is a next-generation infantry fighting vehicle developed around the strategic concept of ‘boarded battle’. The IFV is being manufactured by Doosan DST for the Republic of Korea Army (South Korean Army). The indigenously built K21 IFV is designed to perform joint missions with main battle tanks and features a 20% lighter structure compared with similar IFVs in its class. It can safely transport 12 personnel including three crew and nine dismounted troops. It is fitted with modular add-on armour and composite or spaced laminated armour for protection against 30mm APDS munitions, 14.5mm AP rounds, and artillery shell fragments. The crew is also protected against mines and improvised explosive devices (IEDs). The K21 features a two-man turret mounting a 40mm cannon, a 7.62mm coaxial machine gun, and third generation anti-tank missile system. The power pack includes a Doosan D2840LXE diesel engine producing 750hp power. The vehicle has a cruising range of 450km and can travel at a maximum speed of 70km/h. The BMP-3M / BMP-3U is an upgraded infantry fighting vehicle designed based on the experience gained from the BMP-3 IFV operating in a number of regions worldwide. Superior fire power, mobility and protection features make the BMP-3U one of the best IFVs in the world. The chassis of the BMP-3M is built by Kurganmashzavod, while the turret is supplied by the KBP Instrument Design Bureau. The vehicle incorporates a Bakhcha-U combat module, which includes a 100mm gun 2A70, 30mm 2A72 automatic gun, and a 7.62mm machine gun. The hull has the capacity to carry ten personnel and is fitted with auxiliary armour shields, ERA kits and defensive aid suits for protection against high-precision weapons. The Shtora-1 protection system and add-on explosive reactive armour kit further protect the vehicle from anti-tank guided missiles and anti-tank hollow charge projectiles respectively. The vehicle has a maximum speed of 70km/h and cruising range of 600km. The Combat Vehicle 90 (CV90) IFV is a member of the CV90 family of armoured vehicles. It was originally developed for the Swedish Army by FMV, Hägglunds and Bofors, and is currently produced by BAE Systems. CV90 variants are in service with the armies of Denmark, Finland, Norway, Netherlands, Sweden, and Switzerland. The IFV integrates a 40mm Bofors auto-cannon or 30mm Bushmaster Cannon or a 35mm/50 Bushmaster Cannon as a primary weapon. The remotely controlled weapon station can be mounted with a 7.62mm machine gun and a 40 mm automatic grenade launcher. The CV90 protects its ten-man crew against IEDs, anti-tank mines, shaped charge warheads, and rocket propelled grenades. The Defensive Aid Suite (DAS) together with radar and infrared (IR) signature reduction features further enhance the survivability of the vehicle. Powered by Scania V8 diesel engine, the vehicle offers a maximum speed of 70km/h and range of 900km. Tulpar is a new tracked infantry fighting vehicle developed by Turkish company Otokar. The vehicle made its public debut during the 11th International Defence Industry Fair (IDEF) in May 2013. 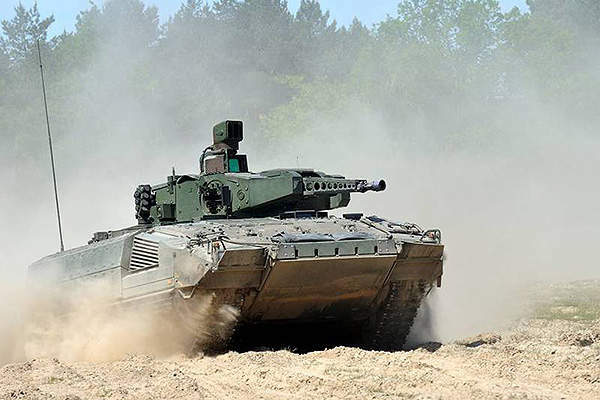 The Tulpar is intended to complement Turkey’s new generation Altay MBT on the battlefield. The IFV is capable of transporting 11 troops to the front line of war zones. It integrates a Mizrak-30 medium calibre remote controlled turret armed with 30mm dual feed automatic cannon and a 7.62mm coaxial machine gun. The turret can also be mounted with L-UMTAS long-range anti-tank guided missiles. The vehicle offers all-round protection against 14.5mm calibre rounds, and more armour can be added for protection against higher calibre rounds. The vehicle is designed to survive a blast of 10kg of TNT under the hull and its main parts are protected from 25mm armour-piercing rounds. The maximum speed and range of the vehicle are 70km/h and 600km respectively. The Bradley A3 infantry fighting vehicle built by BAE Systems is the latest model in the Bradley range and was inducted into service with the US Army in 2000. The new vehicle incorporates advanced digitised electronics and carries up to ten personnel. The IFV is currently in service with the Armoured Brigade Combat Team (ABCT) of the US Army, and is armed with a Bushmaster 25mm cannon, a 7.62mm coaxial machine gun and TOW missiles delivering superior fire power in various combat situations. The survivability upgrades of the A3 over the previous Bradley system include improved roof protection against fragments, a ventilated face piece system (VFPS) and armour tiles to survive shaped charge munitions. The Bradley Urban Survivability Kit (BUSK) upgrades further enhance the survivability in urban scenarios. The IFV has a top speed of 61km/h and cruising range of 402km. The ASCOD IFV developed by Steyr and Santa Bárbara Sistemas (now part of General Dynamics) is currently operated by the Spanish Army and Austrian Army. 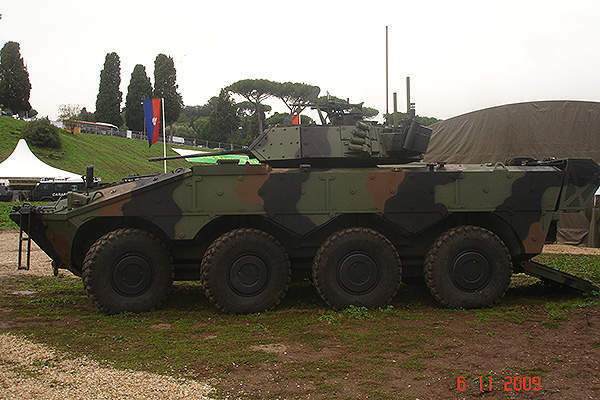 The first ASCOD prototype was rolled out in 1992 and since then 356 vehicles have been delivered to the Spanish Army and 112 to the Austrian Army. The Spanish version is known as Pizarro, while the Austrian version is known as Ulan. The ASCOD IFV features a monocoque hull fitted with armour steel plates offering STANAG 4569 level 4/5 ballistic, mine and NBC protection for the 11-man crew. The level of protection can be further enhanced with optional passive or reactive add-on armour kits. The vehicle is armed with a dual-feed RWM MK30-2 30mm automatic cannon, MG-3 7.62mm coaxial machine gun, and a 76mm smoke grenade launcher. The MTU 8V power pack and running gear ensure a maximum speed of 70km/h and range of 500km. Piranha V IFV is one of the members in the Piranha family of armoured multi-role wheeled vehicles developed by General Dynamics European Land Systems-Mowag. It is touted as one of the best IFVs available in the market today. The Piranha V IFV was unveiled for the first time at the Eurosatory expo in June 2010. The vehicle is fitted with remotely controlled light weapon station or heavy turret mounting weapons for 12.7mm, 25mm, 30mm or low-recoil 105mm guns. The baseline model offers the highest level of protection for a 13-man crew against mines and IEDs. It can be integrated with additional survivability kits for protection against explosively forged projectiles (EFPs), and add-on armour of different levels to offer coverage of more than 95%. The Fuel Efficient Drivetrain System (FEDS) and MTU diesel engine provide a maximum speed of 100km/h and range of 550km. The VBCI (Véhicule Blindé de Combat d’Infanterie) IFV is one of a number of models in the VBCI range of armoured vehicles developed by Giat Industries (now Nexter Group) and Renault VI (now Renault Trucks) for the French Army. The balanced combination of protection, performance and payload make the VBCI one of the best IFVs in the world. 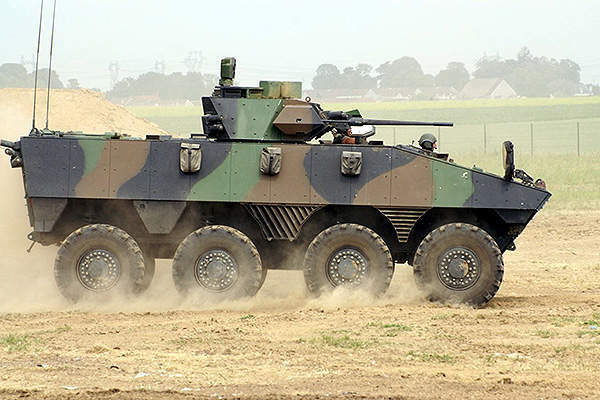 The French Army ordered 630 VBCIs of which 500 vehicles were delivered by July 2013. The IFV is armed with a dual feed NATO standard 25mm automatic cannon, and a 7.62mm coaxial machine gun operated from either the commander’s or gunner’s station. The aluminium alloy hull fitted with modular add-on armour offers protection against rocket propelled grenades, EFPs, mines, and IEDs. The VBCI is also provided with chemical, biological, radiological and nuclear (CBRN) protection, and hard-kill and soft-kill protection. It can carry 11 personnel at a speed of 100km/h for a maximum range of 750km. The VBM Freccia AFV, designed and manufactured by the Iveco Fiat – Oto Melara consortium, is the first digitised vehicle to enter into service with the Italian Army. It is based on the Centauro family of wheeled armoured vehicles. The VBM Freccia is an 8×8 wheeled vehicle capable of carrying 11 fully equipped men. Its turret is mounted with Oerlikon KBA 25mm automatic cannon, a 7.62mm co-axial machine gun, and two optional launchers for Spike ML/LR anti-tank missiles. The all-welded steel armoured hull offers protection against small arms, light artillery and shrapnel, anti-tank mines, and IEDs. The IVECO diesel engine fitted to the vehicle attains a maximum speed of 105km/h.